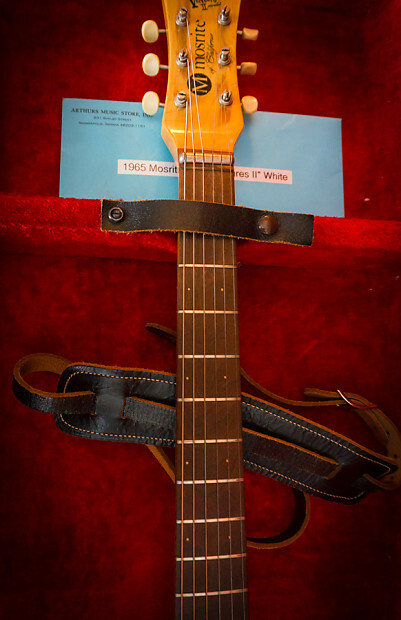 Thee Johnny Ramone guitar in true closet-classic, near-mint condition. 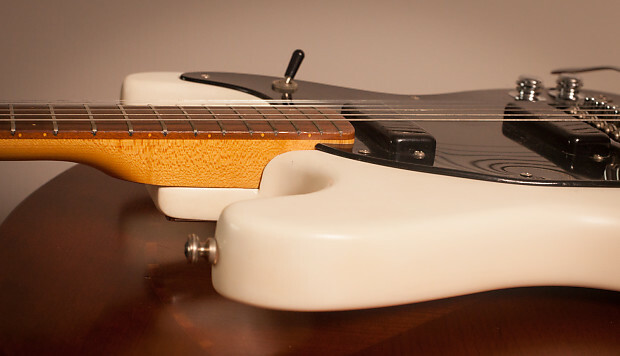 This is the finest example 1965 Ventures II model known to exist. Only 5 white known to exist worldwide. 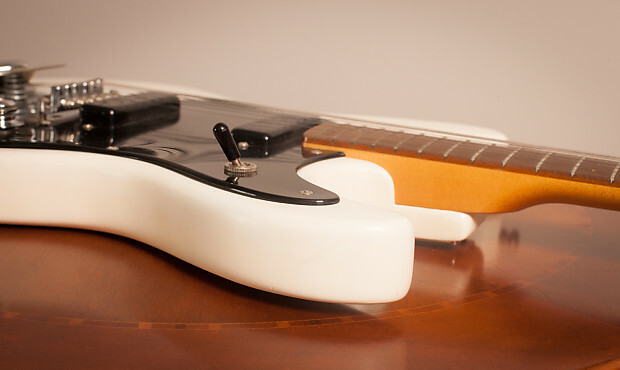 Most Ventures II models are beat up or sadly have been modified. 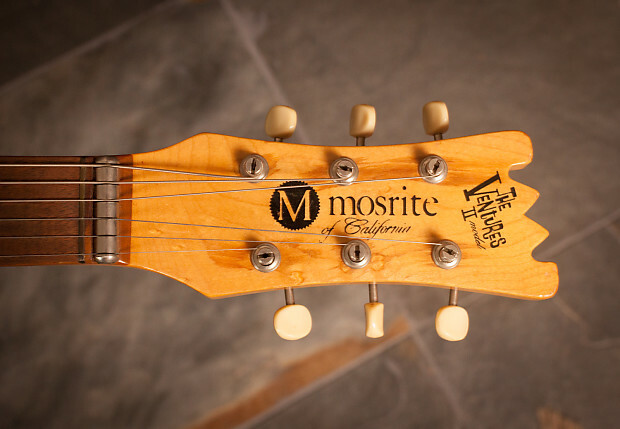 This guitar is exceptional because of the condition and rarity, but also because of the exceptional tone, which I have not found in other 65 slab models that I've come across. 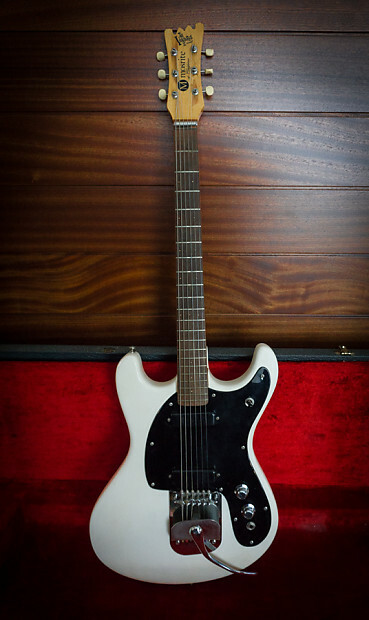 That is what makes this guitar so extra special, it's not only mint, it also is unbelievable sounding. It's more present, glassy, brassy, and alive/resonant than the others I've played. 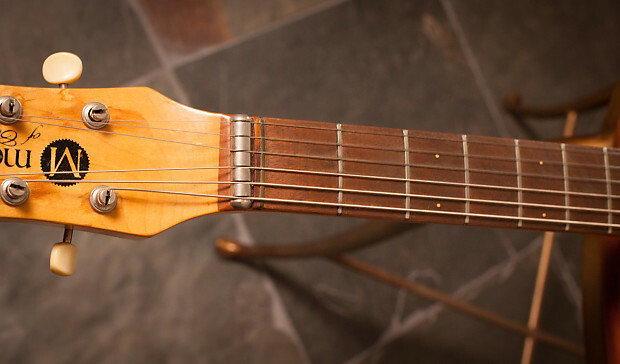 I'm not sure if it's the pickups or the wood, but it is undeniable. 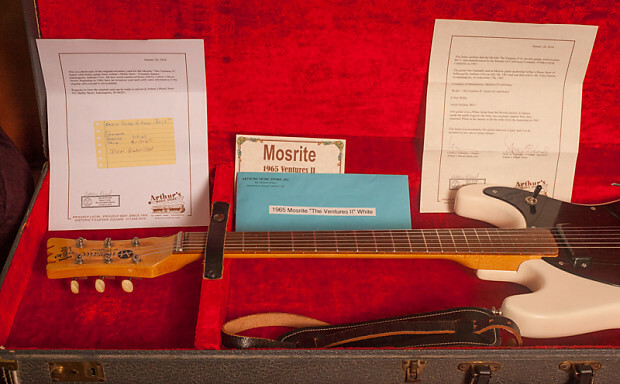 Holy grail Mosrite. 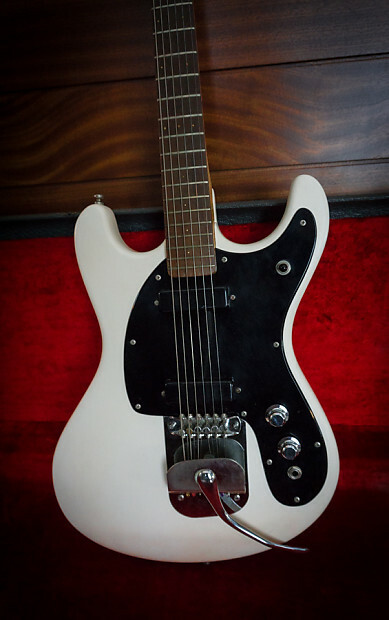 Extremely rare, hand-made 1965 Mosrite Ventures Mark II Slab in white, basically near-mint condition, complete and 100% original. Purchased from the original owner in 2016. Serial B017, it has spent 99.99% of it's life in the beautiful original case. The chrome so in tact, it more or less looks like a brand new guitar. Does have a ding in the top of body. 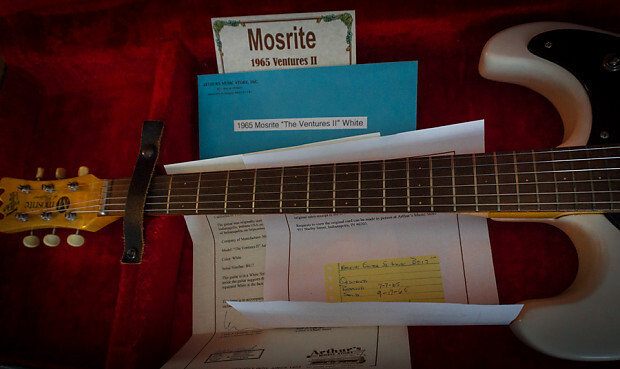 Comes with original case and paperwork from the original dealer, the legendary Arthur's Music, and original notarized paperwork indicating the original 1965 order from the factory, original inventory card and original owner. 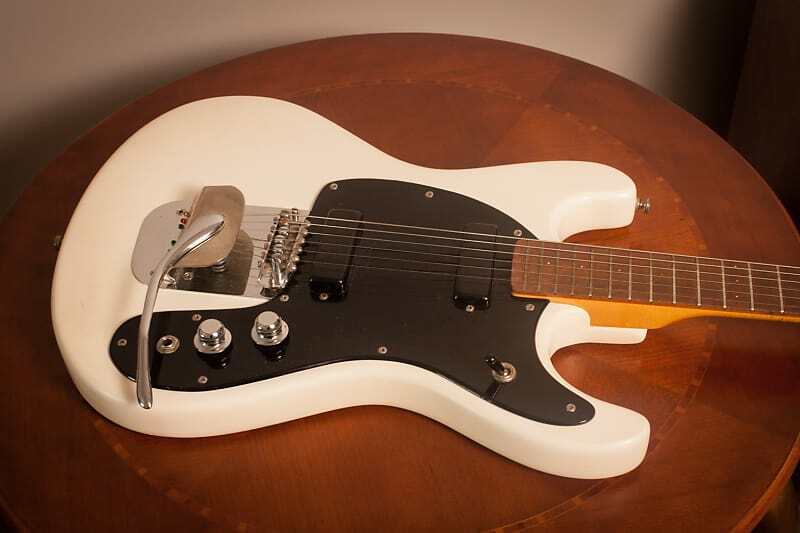 Aside from us, this is a one owner guitar, a true closet classic. 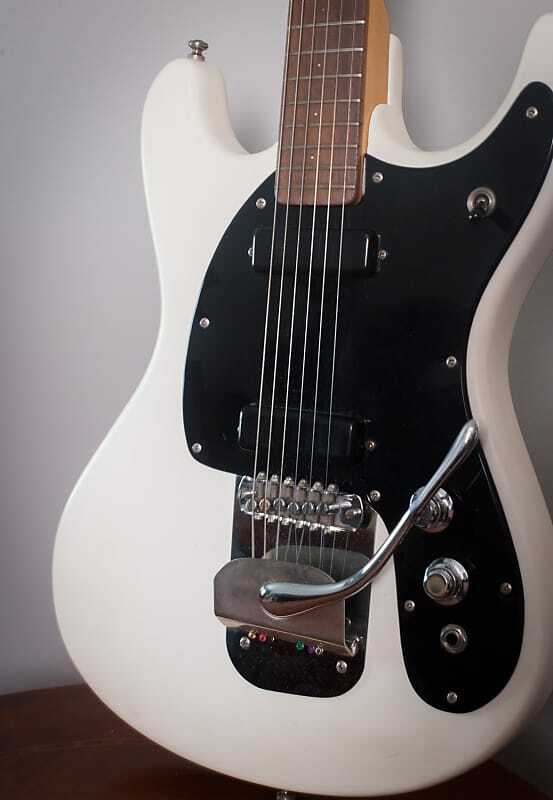 I can imagine the reasons for the massive amount of replicas of this guitar. 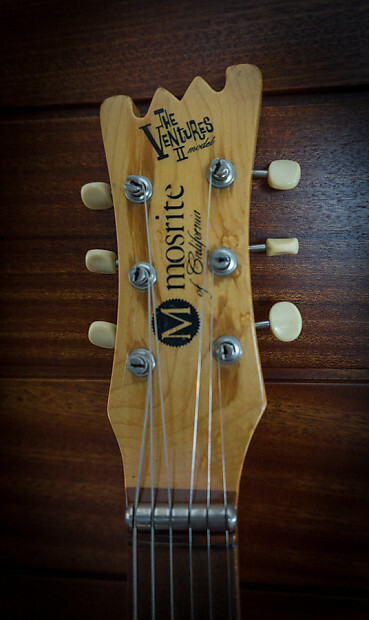 However when you hold the real thing in your hands, it's a special rarified feeling that you will never take for granted, like say you might with an old Les Paul or Strat, which are very plentiful. 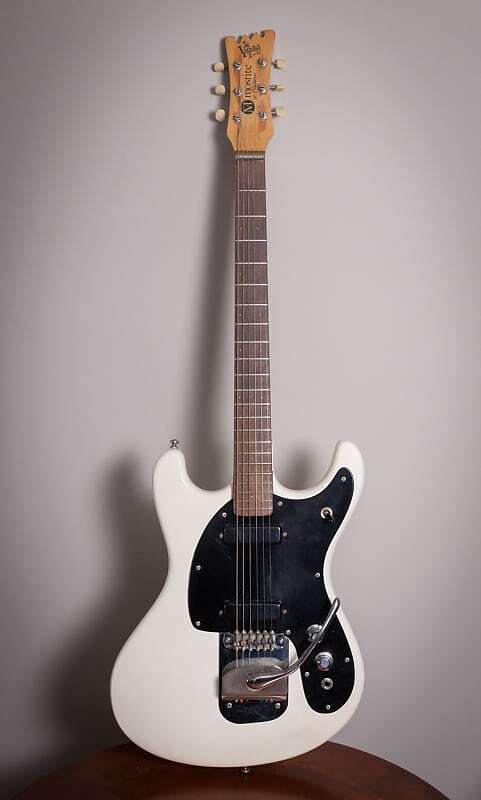 When you play this guitar, something different will come out. 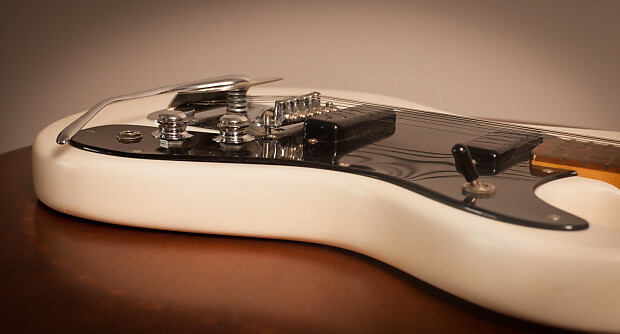 Maybe it's in the super sparkly pickups, maybe it's just plain ole magic. It's an incredibly gratifying experience lighting this thing up, pulling out of you a different playing experience because it's such a different sounding which exists in it's own EQ space, unlike any other guitar on the planet. A unique voice. 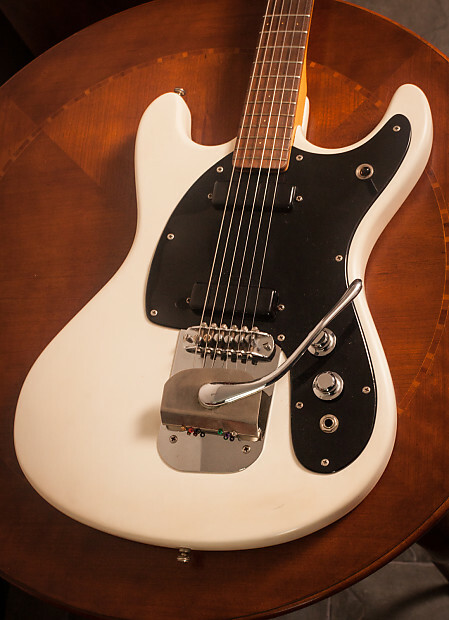 This is not sales talk, I guarantee these statements, it's a magical guitar. Everything is 100% functional as it should with no repairs, modifications. This is a true gem which shows little to no player wear and has the unbelievable history of sitting in it's case under a bed for over half a century. I can't get over how good these pickups sound. Free domestic shipping & insurance. 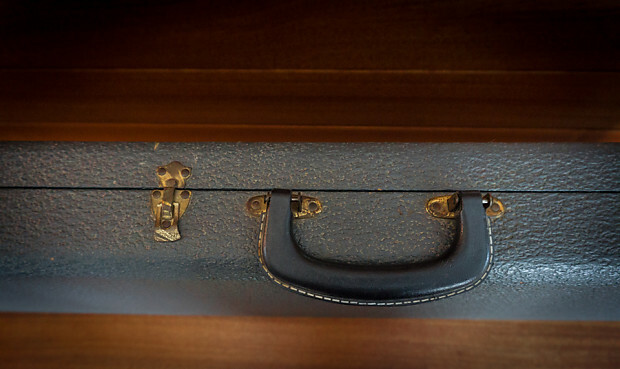 Guitar will be packed in a manner in which damage would be impossible. No shipping to Italy, Eastern Europe, Asia and no lying on customs forms. All domestic items will be free shipping + insurance, unless otherwise noted.